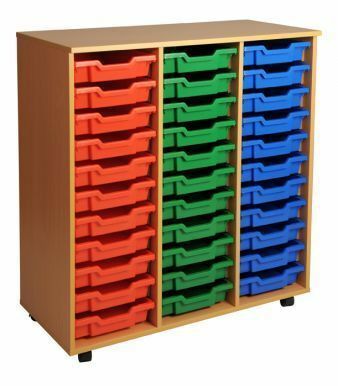 Three compartment 11 high mobile or static tray storage unit with 33 Gratnell shallow education trays in a wide choice of colours. 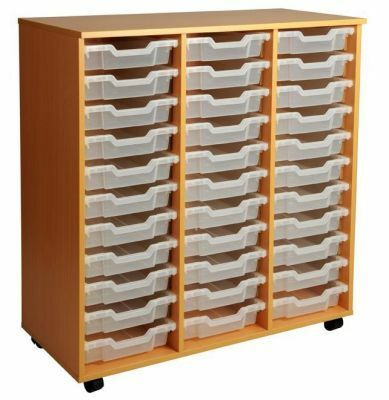 Housed within an 18mm thick MDF carcass in a choice of Oak, Beech or Maple. Manufactured in the UK.